There are several ways to get parts for the Aurelia. Supplying parts for these older cars is quite complicated, as there are many variations and subtle differences in the cars. Care should be taken when ordering parts, as these people have worked hard to get things supplied and shipped, and are often small operations depending on one or two people. Mike Kristick is the best source, located in Pennsylvania. He can be reached at: <makristick@aol.com> or (717) 292-2962. Adan Figueroa is another Lancia parts source, beginning to get into the Aurelia, but is largely Fulvia and Flavia. He can be found at: http://www.lalancia.com or 310-513-3217. In addition, the Registro Aurelia has remade some parts, sometimes for sale. For those more adventurous, there is a whole world of suppliers and manufacturers of parts for the Aurelia. 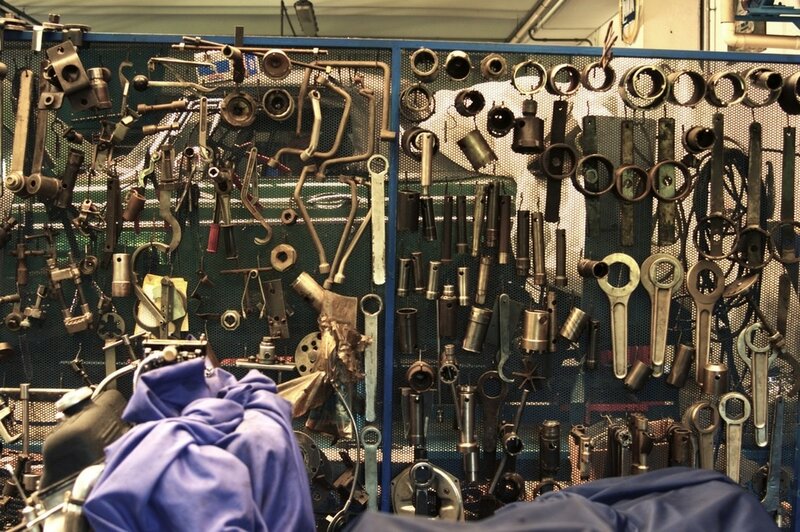 One of the older and more interesting is the machine shop of Sergio Allais in Italy, near Milan. They make most anything, cranks, cams, clutches, etc.